TMT Camp 3 TMT is located on 2 nd and 3 rd floor of the convenience store, Family Mart. It is about a 10-minute walk from the Camp. Cozy room decorated in tiger tones. 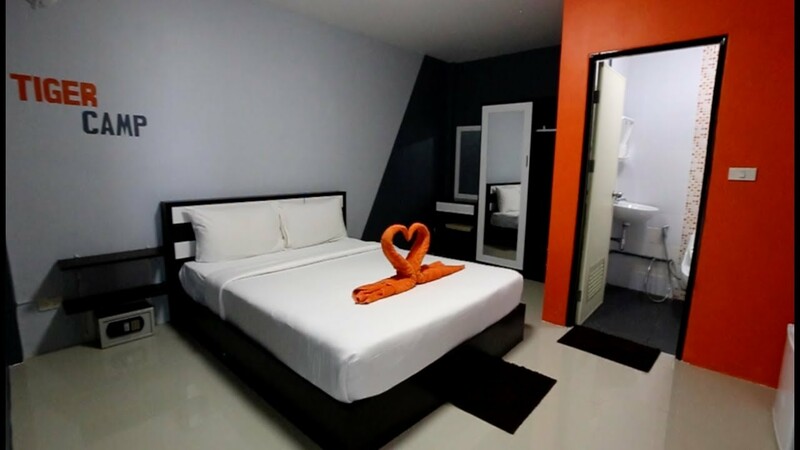 Each room is air conditioned and has a private bathroom with hot water showers, cable television, safety-boxes, wi-fi internet, and refrigerators. Maid service cleans the room 2 times per week. Wanna stay at one of our available properties when training at Tiger? Then please book and pre-pay for your accommodation today!